While it would appear to be a storyline related situation, WWE.com reports Kevin Owens suffered knee injuries on Raw at the hands of Bobby Lashley. 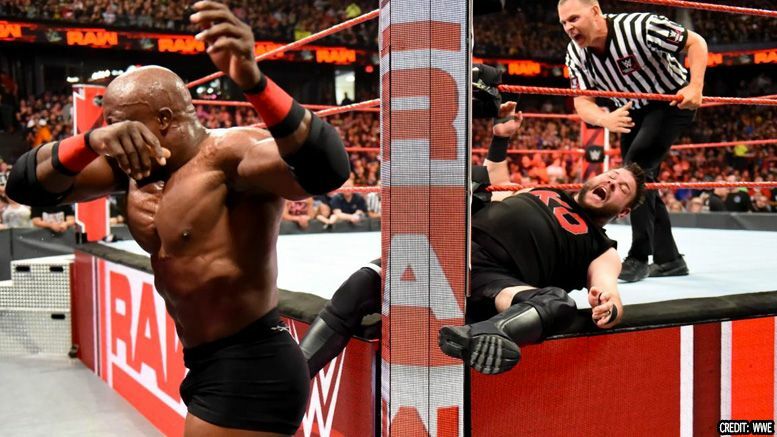 For those who missed it, Lashley attacked the legs of Owens after defeating him on Raw by brutalizing his opponent’s knees against the steel ring post. As you may recall … Owens’ character quit Monday Night Raw a few weeks ago, then randomly re-appeared as if the storyline had been abandoned. We’ll keep you updated once WWE releases additional information.